First and foremost, Don’t Drill the Hills appealed Judge Alexander’s ruling on our original voters’ rights lawsuit. The appeal was filed within the 21 days allotted. We are still waiting for the item to get on the Circuit Court of Appeals docket. We’ll keep you posted on the progress. We still need funding for the appeal, so please consider a donation. Second, the Planning Commission meets on January 13th to discuss proposed oil drilling and pipeline ordinances. They were very willing to listen in the first meeting – a long time ago. But the ordinances haven’t moved. During the January meeting the Commission will host the Michigan Department of Environmental Quality (DEQ). The DEQ will present a package on oil/gas drilling and they will answer previously prepared questions. Those questions must be submitted prior to the meeting via email or phone. This is unusual. We suspect there will still be time for public comment but we are not certain. Email your questions to the Planning Commission, City planner Ed Anzek, or call 248-656-4660 in advance of the meeting. If you would like to get information directly from DEQ, write or call the following numbers. To learn more about the DEQ and the Office of Oil, Gas and Minerals go here. Third, speaking of public comment, the Rochester Hills City Council decided during December, when everyone was consumed with the Holidays to modify their Rules of Procedure. The most glaring change was their movement of public comment later in the agenda. In the last year, the Council has frequently changed their agenda shifting public comment later, but now they have formalized the move. We fought this change that will have lasting implications for years…or at least until a more accommodating Council can be elected. Many DDHI members have sat through long proceedings in order to voice our concerns. Now we will have to do so every time. The Council wanted to prioritize formal agenda items, which is understandable. The problem is that they are also muzzling the public and failing to recognize that public comment is the only means for some citizens to get their issues heard in the first place. During public comment, we’ve seen many people bring up compelling issues, outside of oil and gas drilling, that the City Council has taken action on, or decided to research further. But moving public comment later forces many working citizens or citizens with children, who can’t remain at council meetings until 9 or 10 pm, to stay away. Given our long struggles with this council we can’t help but cynically assume that this is their intent. Fourth. One of the Council’s latest actions was to submit a request to the State Attorney General Bill Schuette. They are looking for clarity in what the City can regulate as it relates to oil and gas drilling. The City stance is that they can get some defined boundaries and limitations in order to protect themselves from an oil company lawsuit. Our stance is that the State AG is not going to supply an answer, and if they do it will not be favorable to the City or DDHI. The fact is that the State AG office isn’t in the business of postulating on hypothetical issues, and it isn’t in their interest to supply an answer. When it comes to ordinances and regulation of oil and gas drilling it appears that the old maxim “It is better to beg forgiveness than ask permission” is a better way to go. When you consider that the State Attorney Generals of many states appear to be in cahoots with Big Oil you can also see where Schuette may rule on the matter, anyway. According to the linked article, Schuette is among the top ten AGs to receive money from energy companies. He’s received nearly $200,000 in donations from oil and gas companies in the last two elections. It’s always about the $$$. Fifth, as we predicted, West Bay will be returning to the Shelby well at 25 and Dequindre roads. Shelby officials, including Township Attorney Rob Huth, whose own home is within 500 feet of the well site, are scrambling to stop the action. Shelby officials are relying on their moratorium alone to protect themselves, as both ill founded Senate bills (1076 and 1026) failed miserably on Dec. 11. You may remember that these are the so-called ‘gamechanging’ bills upon which Rochester Hills developed their own weakly constructed moratorium. You may also remember that even after Scio Township created a moratorium, West Bay continued their operations there. It doesn’t look good for the residents of Shelby Township. As each of these communities struggles with this huge issue individually we must all come together to get things changed in the Lansing. Finally, we’re all surprised and pleased to have low gas prices at the pump. But it’s important to understand those prices are being artificially held by OPEC. It proves that, even though we have been able to tap resources in the U.S., the market is still very much controlled in the Middle East. Indeed, the OPEC effort is designed, primarily to force small companies from the market. West Bay (in its many forms) may get consumed in the process. But another bigger company will take its place. The reality is that this lull can’t and won’t last in the long run. Prices are destined to bound back up, perhaps worse than before. So this is no time to ignore the issue in our own backyards. We need better, cleaner, renewable sources of energy. While it’s good that the U.S. has been able to develop some of its resources, we shouldn’t do so at the price of well-founded residential communities. Please get involved. 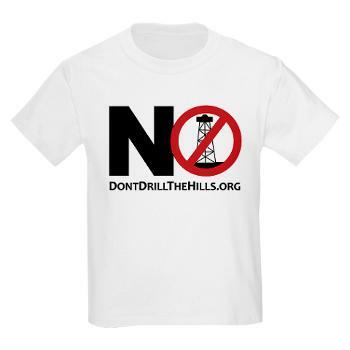 Join Don’t Drill the Hills. Forward this news to your friends and family. Come to the Planning Commission meeting January 13 at 7 pm. Come to Council meetings January 12th and 26th at 7 pm. Voice your concerns. 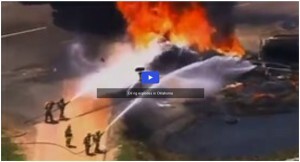 Three people were killed and two others critically injured after a fire erupted at an oil drilling rig in a rural area near Coalgate, OK, December 19th.